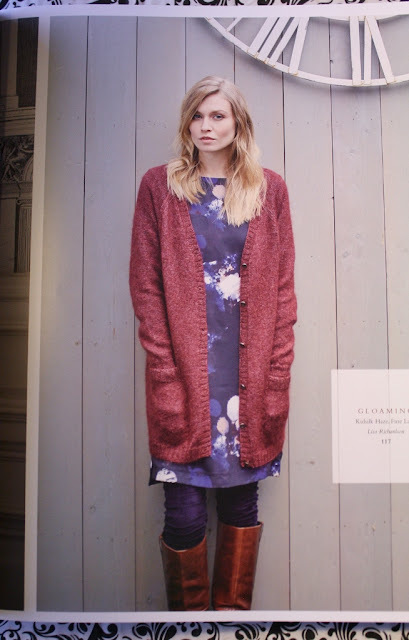 having grown out of the excitement of most holidays quite a number of years ago, "special occasions" tend only to present themselves as an excuse to buy stuff that i was probably going to buy anyway... but the holiday takes away some of the guilt attached. 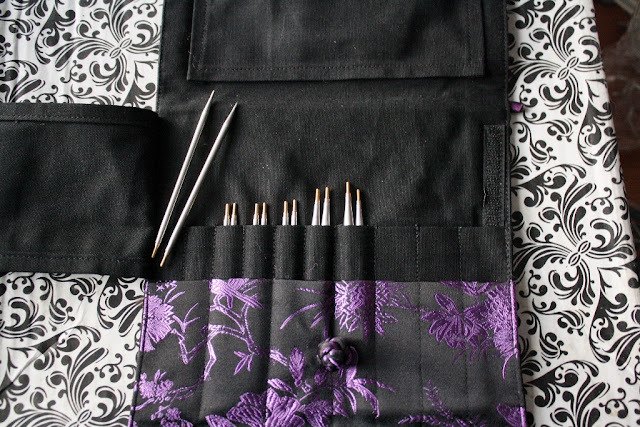 i spent a few months talking myself out of purchasing a set of interchangeable knitting needles, so this was the perfect item to request as a gift from him. 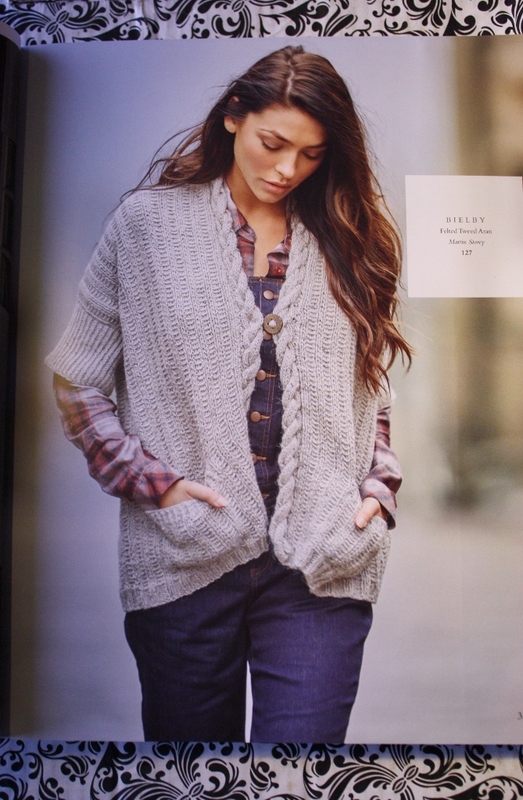 he, in return, received a hand-knit cardigan, which i will talk about some other day. 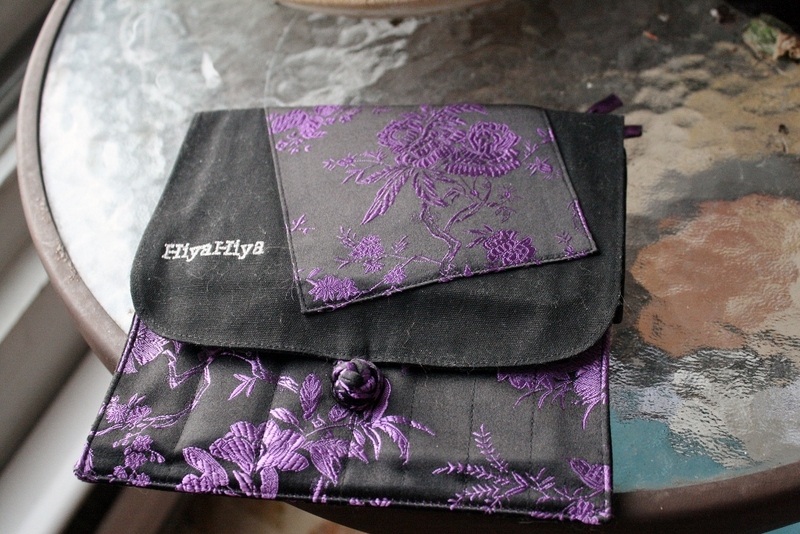 this is the HiyaHiya Sharp Interchangeable needle set. note the case is already covered in cat hair. welcome to my life! 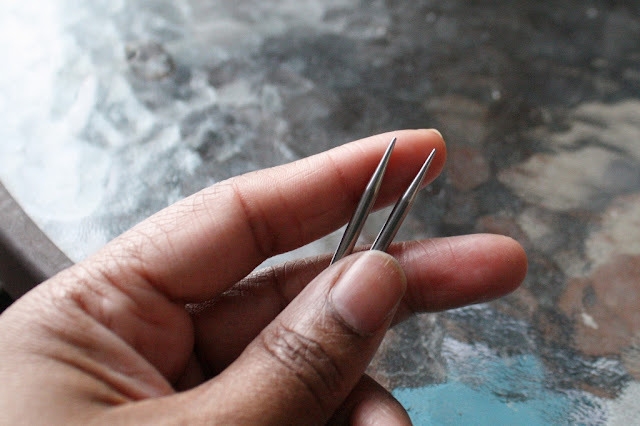 i opted for the the 4-inch tips and the small set (size US#2 - US#8), as most of the stuff i knit require needles within that size range. this set comes with seven pairs of tips, one pair of which have already been put to use elsewhere. 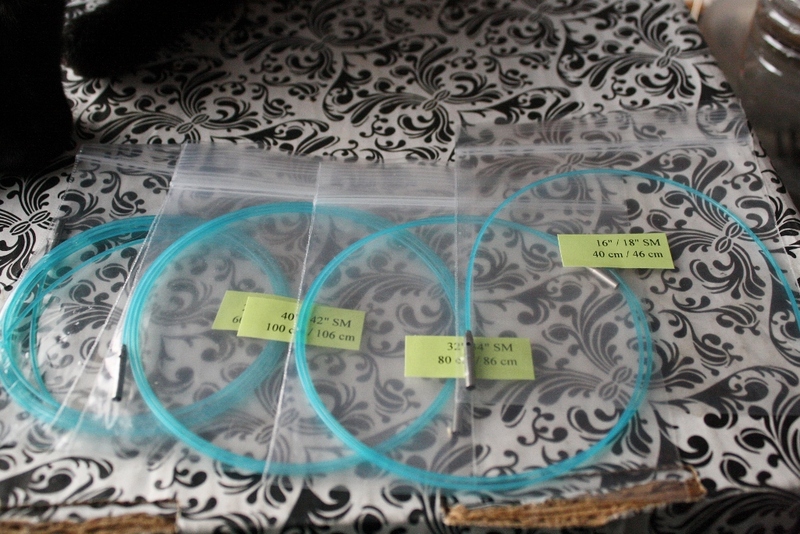 the set also includes four cables in a range of lengths from 16" - 40" (including the needle tips), plus he got me an extra 60" cable and a couple connectors, so i can join a few cables together for a super-wide project. this would also be handy for trying stuff on without having to first transfer all the stitches to a piece of waste yarn, then transfer them back to the needle to continue knitting. oh, and yes there naturally is a cat. the Little one took a break from running around like a lunatic to lend me a hand. she looks like a ghost kitty in this one. 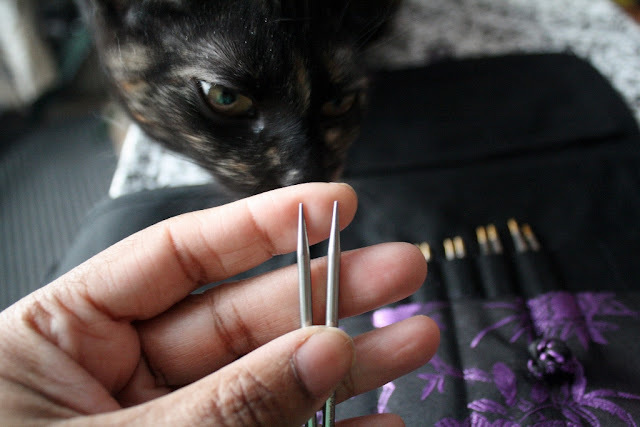 there are several interchangeable needle sets on the market, but i chose this one because of the incredibly smooth join between the tips and the cables, and (most of all) because of the sharp points on the needles. 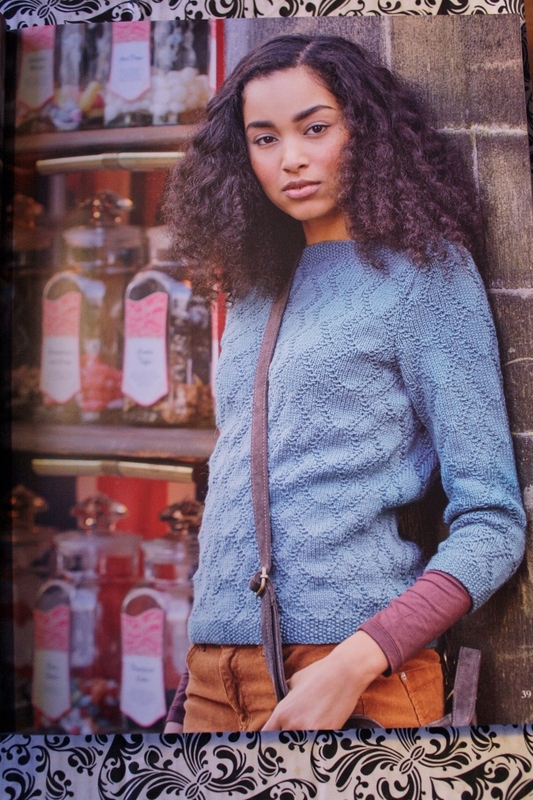 should an assassin burst in while i am curled up on the sofa knitting a sweater, i am fully prepared to defend myself. 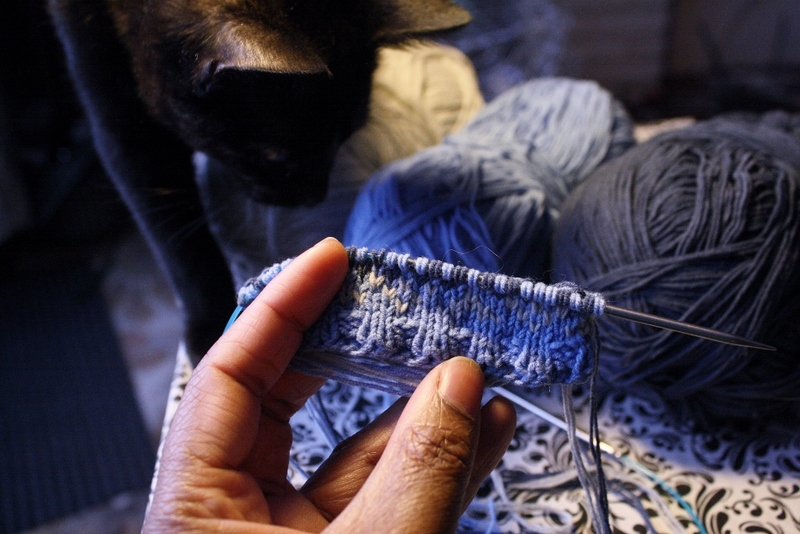 i have about twenty projects that i was putting off swatching (sampling) for until i got the new needles, so it was near impossible to decide which one would be first. 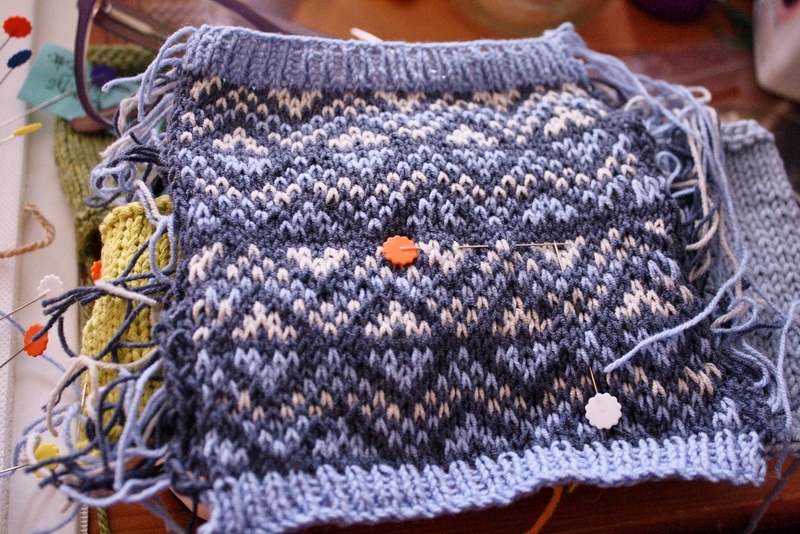 this is the beginning of a swatch for the Northdale sweater by Gudrun Johnston. the design calls for three colors of yarn, and each row is worked using two colors at a time, so this is a project for the more experienced knitter. it sounds like i am so full of myself making a statement like that, but it is true. 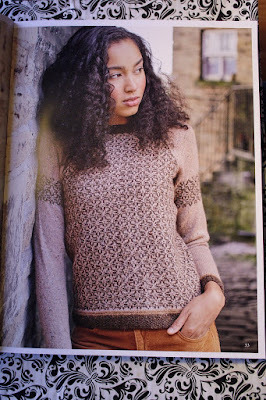 i had swatched for this sweater in the same yarns at some earlier point, but the resulting fabric was a bit loose and sloppy, so i am holding the yarn doubled this time for thicker, warmer end product. 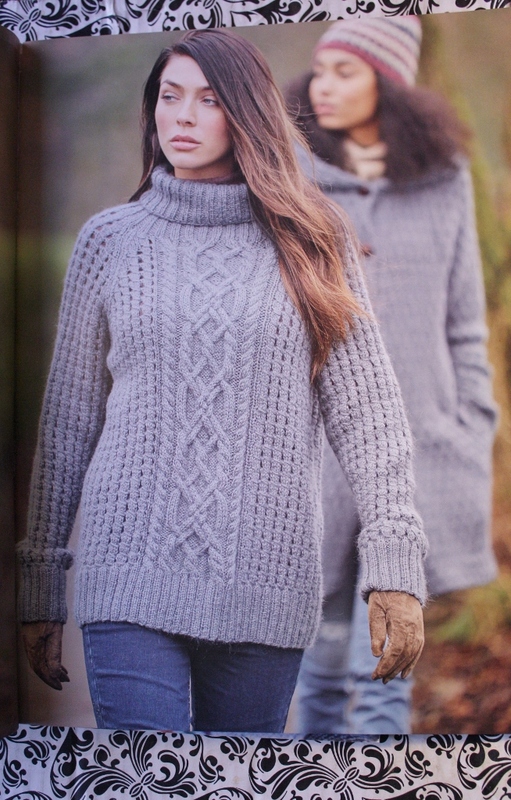 you can see the full pattern of the colorwork on the earlier swatch. i cannot wait to get started on this sweater. we usually also use this time of year as an excuse to purchase books for ourselves (i have spoken about our book-buying tendencies in the past), but we are foregoing that practice for now. his brother, who is also an animator, has inundated him with "art of..." books during this past year, and i have enough knitting, gardening, and 'cozy mystery' titles to keep me occupied for a while. 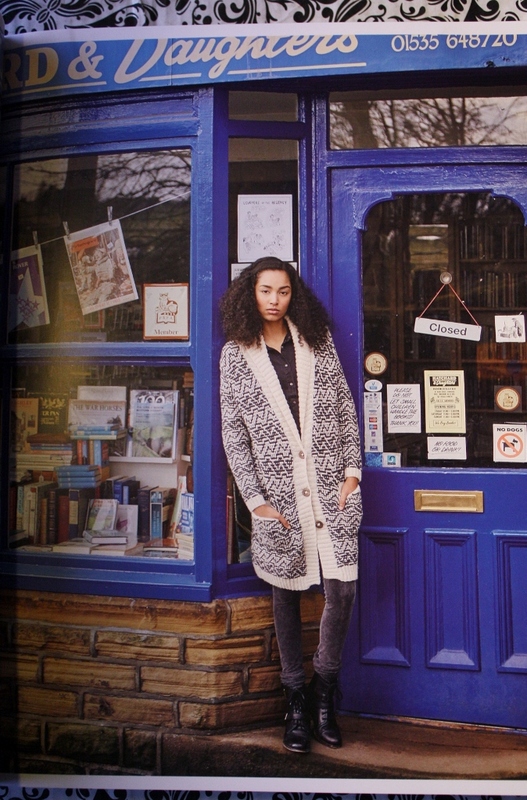 however, i am adding one new (to me) magazine to my regular reading list. 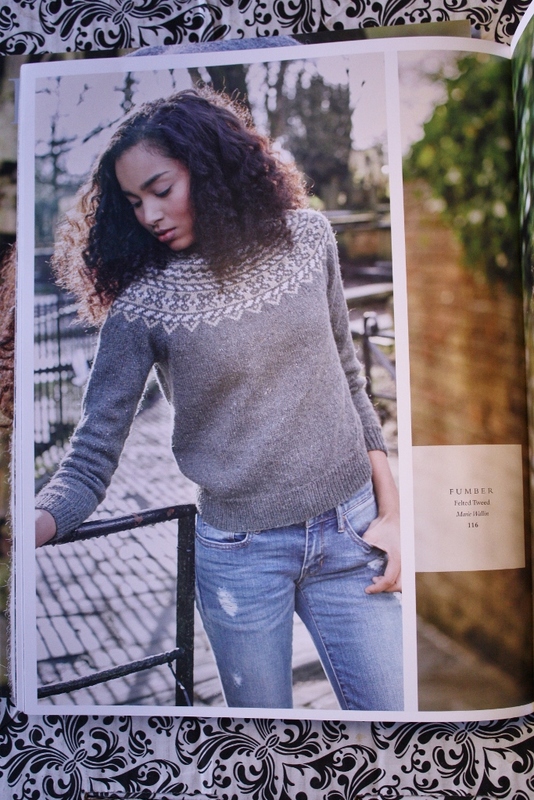 the title in question is Rowan Magazine, published twice a year by the UK yarn and design company of the same name, Rowan. 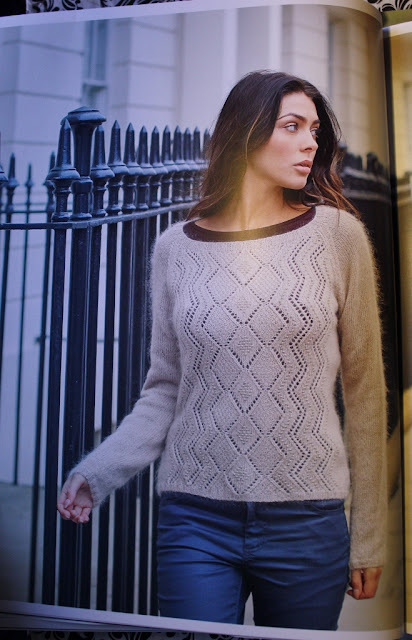 they are home to some of the biggest design names in the industry as well as a a staggering library of books and magazines, (including several hundred free patterns on their website). aside: i ended up with two copies of this volume (#62) because the first one was lost in the mail, and i was sent a replacement. naturally, the first one showed up a few weeks later, so now i need to find someone who might appreciate a copy of said magazine. maybe i will drop it off at the yarn shop around the corner, or leave it at the coffee shop with a "please take me home" note attached. 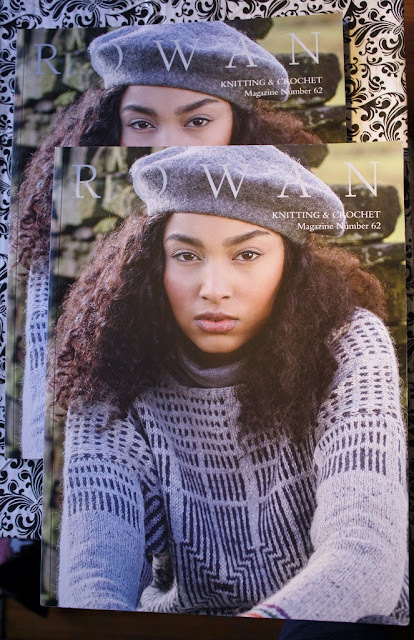 i have a number of Rowan patterns in my library, but i decided to add all future editions of this particular magazine to my must-purchase list because the current issue is overflowing with stuff that i absolutely want to knit, either for myself or for someone that i know. 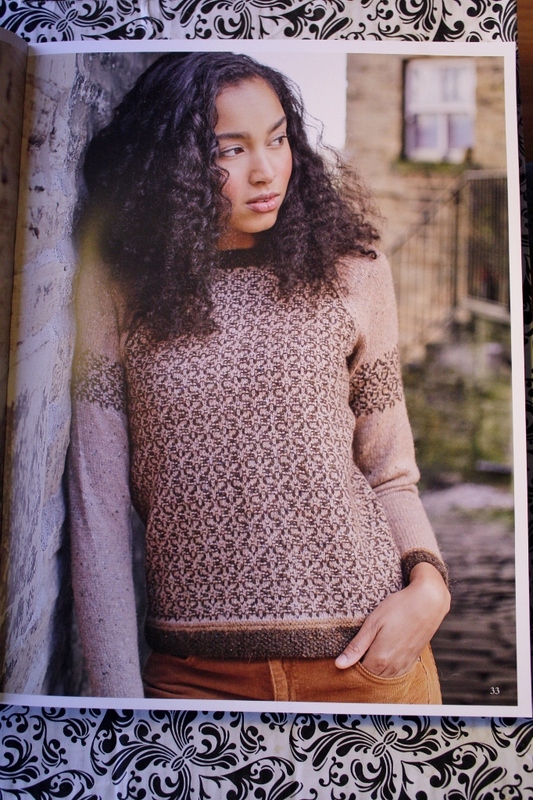 you can see the full range from issue #62 on Ravelry, but i want to share a few of my favorites, beginning with Greenwood by Galina Carroll, the sweater on the cover. 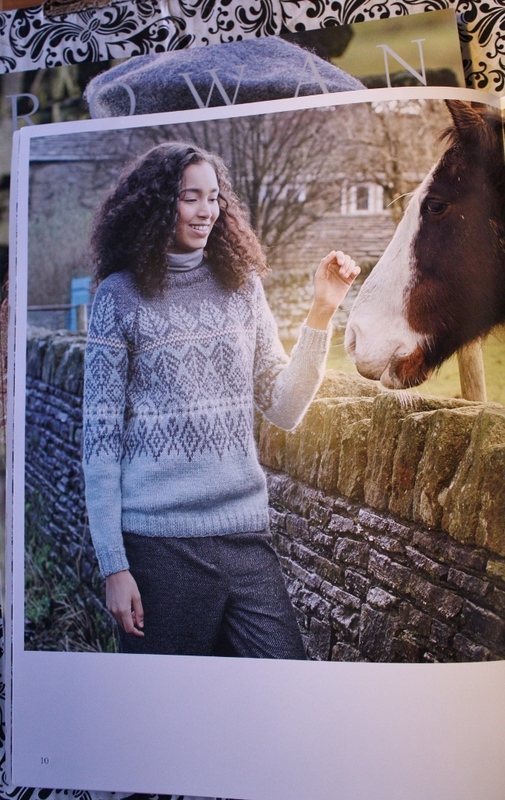 i had yarn set aside for this one before the magazine got to my door. from top to bottom, Gloaming, Gransmoor, and Marr, all by Lisa Richardson. Fishlake (left) and Fumber (right) by Marie Wallin. and (top to bottom) Afterglow, Bielby, and Bradshaw, all by Rowan's (arguable) top designer, Martin Storey. 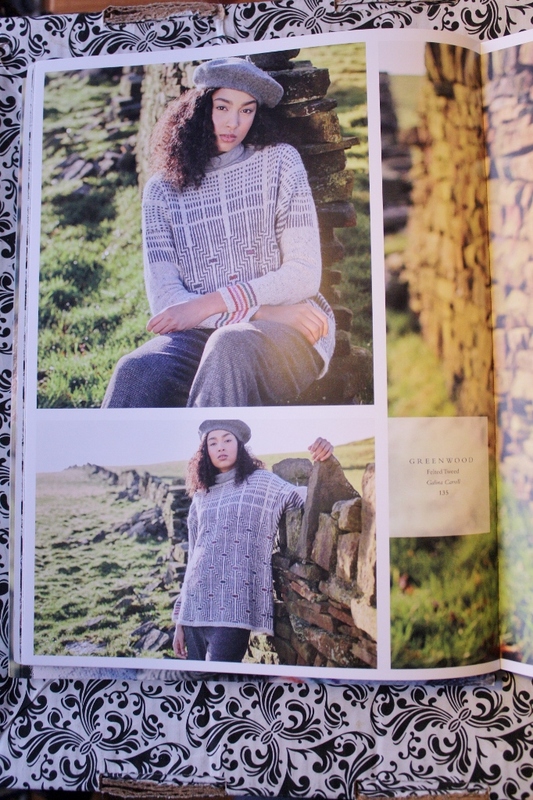 these are my favorites from this issue, but i would honestly wear just about any of the designs included, which is something i have never said before about any knitting magazines. 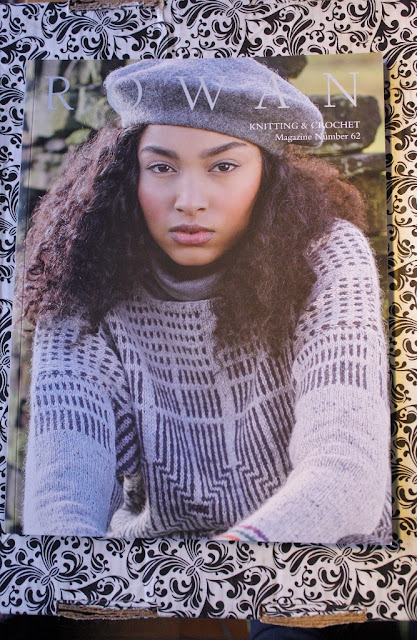 in fact, i have cancelled a few subscriptions in recent years due to their being only one or two things i like in most issues—cough cough... Vogue Knitting. the only problem now is to decide where to begin.